Spokane’s Northwest Museum of Arts and Culture has launched an exhibit today entitled “Luminous: Dale Chihuly and the Studio Glass Movement” which will run from February 23 to June 23, 2019. The highlight of this wonderful exhibit is the world premiere of a stunning Chihuly chandelier which is comprised of 5 pieces. The Laguna Murano chandelier is considered by a majority of art critics and museum curators to be the most beautiful and artistically important Chihuly chandelier ever created so you definitely don’t want to miss out on this incredible exhibit! 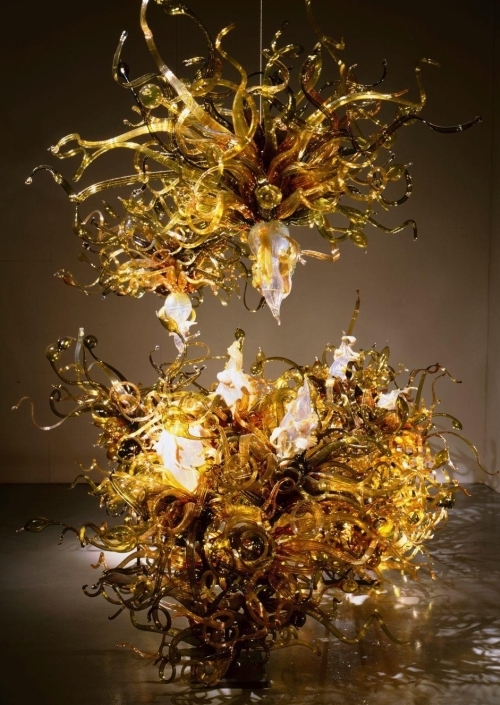 Additionally another 7 pieces of glass art from Dale Chihuly‘s Macchia series will also be displayed at this exhibit. The exhibit also features numerous works from 32 other influential international glass artists including Lino Tagliapietra, Therman Statom, Dante Marioni, and Erich Woll. The Northwest Museum of Arts and Culture opens at 10 a.m. on Saturday. Admission is $12 for adults, $8 for seniors and college students with a valid ID, and $5 for children and students ages 6 to 17. Children ages 5 and under are admitted free of charge. For more details please visit Northwest Museum of Arts and Culture.